WESTPORT — Superintendent Colleen Palmer will receive her full salary until she leaves Westport schools in August, Palmer’s newly released separation agreement with the Board of Education says. 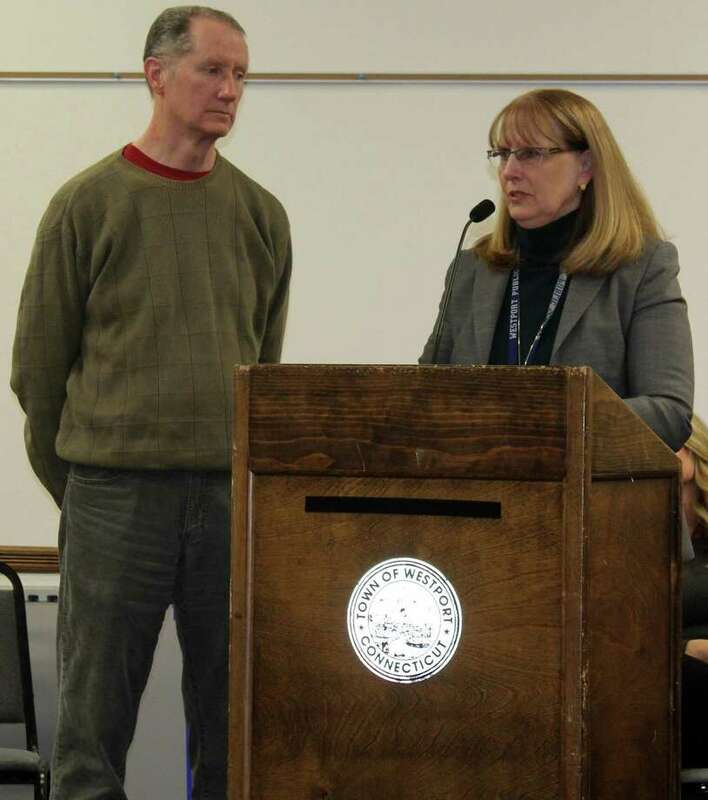 The Board of Education (BOE) voted on the separation agreement, which the Westport News obtained through a Freedom of Information Act request, at the board’s April 8 meeting. Palmer is relieved of her duties as superintendent and will be on paid leave for medical reasons until her employment ends on July 31, the agreement says. Until this period, the BOE will pay Palmer her annual base salary in accordance with the salary and payroll terms and schedules, applying the paid sick and vacation days Palmer is entitled in her contract, the agreement says. Last year Palmer topped the list of Westport’s highest-paid town employees, with a salary of $300,411, which means Palmer will be paid a salary of about $5,777 per week and $138,648 in total while away on medical leave until August. Palmer’s current employment contract was not set to end until June of 2021, but when Palmer announced in March that she would leave the district for retirement, effective July 31, 2019, the BOE accepted her resignation, the agreement says. “Dr. Palmer has informed the Board of her need to remain on leave for medical reasons for the remainder of her employment with the Board,” the agreement says, without specifying the date Palmer notified the BOE of her need for a permanent leave. “Dr. Palmer and the Board further understand and agree that this Agreement does not constitute any admission by the Board that the Board is in any way liable to Dr. Palmer or that the Board harmed or damaged Dr. Palmer or violated any rights Dr. Palmer may have or in any respect treated her unfairly or unlawfully, nor does this Agreement constitute an admission of any misconduct or unlawful act by Dr. Palmer,” the agreement states, perhaps in reference to the tumultuous weeks at Westport Public Schools that preceded the finalization of the separation agreement. In the weeks since Palmer’s March 14 announcement, information came out about the alleged turmoil in the district over which Palmer presided. A survey released a few days before Palmer announced her resignation shows widespread discontent, distrust and concern among Westport school administrators. Palmer did not return to the district after she told administrators she would be away due to a “family emergency” on March 22, at which time Assistant Superintendent Anthony Buono took charge, although his title as Acting Superintendent was not solidified until the April 8 BOE meeting. Buono’s salary as Acting Superintendent will remain the same as the $215,000 salary he earns as Assistant Superintendent.